If you’re an avid online casino enthusiast in the US, you may already know how tedious it can be to find a suitable payment method for deposits. Regulations continuously change and payment providers come and go, leaving US gamblers with a few methods that are not always the most ideal. Even more so, if you get anxious about security measures or high fees, you really may be facing a small dilemma. Well, forget about waiting around when all you want to do is get to the next poker tournament or try out the latest slots games. As of 2015, US players can now make a deposit with UseMyFunds. This online payment gateway is one of the easiest methods to add real cash to your bankroll in just a few minutes. UseMyFunds has been around since 2002. It was formerly known as UseMyBank and had a different logo. When you’re at some online casinos, you may still see the old logo and name. Rest assured, clicking on the outdated name will take you to the UseMyFunds site. This payment method for US casino players is operated by UseMyServices, a company which has been around for over 30 years. They know a thing or two about financial systems and integration and have a very strong reputation to live up to. Trust us; what we’ve seen so far is no less than impressive. When you’re ready to make a real cash deposit with UseMyFunds, you will need to choose an online casino which you would like to play at. If you don’t already have one in mind, we recommend browsing our site for legal online casinos that accept US players. Once you’ve picked the operator and signed up for a free account, you can go to the casino cashier to begin the deposit process. Click on “UseMyFunds”. You will then need to add some basic details like your name and email. From there you will be taken to your online bank account where you will have to sign in with your login information. Initiate the transfer as you would do when you are paying for a bill or service and then confirm. You will be taken back to the casino where you will see the deposit in US dollars. This entire process takes just a few minutes. US gamblers do not have as broad of a selection when it comes to making real cash deposits at a casino online. So, when such an easy, secure option is available, it’s always worth trying. UseMyFunds is quickly becoming a popular transaction method because it is so user-friendly that even the most computer illiterate person can use it. Moreover, UseMyFunds implements a strict security protocol system which includes in-depth encryption technology. This means, UseMyFunds is nearly (or just as) secure as your online banking platform. You will not have to worry about your credit card information floating around in cyber space. Neither the casino, nor UseMyFunds will ever see your bank details; you will have no fears about banking and personal details being stolen by third parties. This just will not happen with UseMyFunds. US gamblers can make a deposit with the UseMyFunds services. This instant transfer of real money is free. The casino and UseMyFunds will not charge a transaction fee; however, your bank may levy a surcharge. Be sure you contact them beforehand. You will also need to have the money in your account; not having this could cost you a hefty overdraft fine. Some casinos will allow you to make a withdrawal using UseMyFunds. This service is relatively new so is only available with certain operators as well as, banks. If this is made available to you, you will be asked to download and fill out a PAD form. This is a short document which asks for basic information and will ultimately give the casino permission to transfer money into your account. UseMyFunds will charge you a small fee to transfer money from you bankroll winnings into your bank. The casino operator may also attach a fee. If this is the case, make sure your withdrawal is enough to cover these fees. UseMyFunds is a new casino deposit method for US players. At the time of writing this, there was only two banking institutions which had partnered with the company; these being Chase and Wells Fargo. If you have a bank account, including the online banking, with these banks you will be able to make a casino deposit with UseMyFunds. If you do not have one of these US bank accounts you will, for the time being, have to use an alternative payment method. 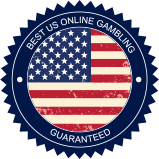 If you are ready to play casino games for real money and are in the United States, be sure to look at our top recommendations. We’ve sourced the best online gambling sites that accept US players. These have an immense selection of games, high security protocols, top of the line software, friendly customer service and lots of traffic. All this ensures you will have hours of fun and entertainment. Of course, once you’ve tried out some of the demo games and are ready to start playing, UseMyFunds will be one of the fastest, most reliable deposit methods.